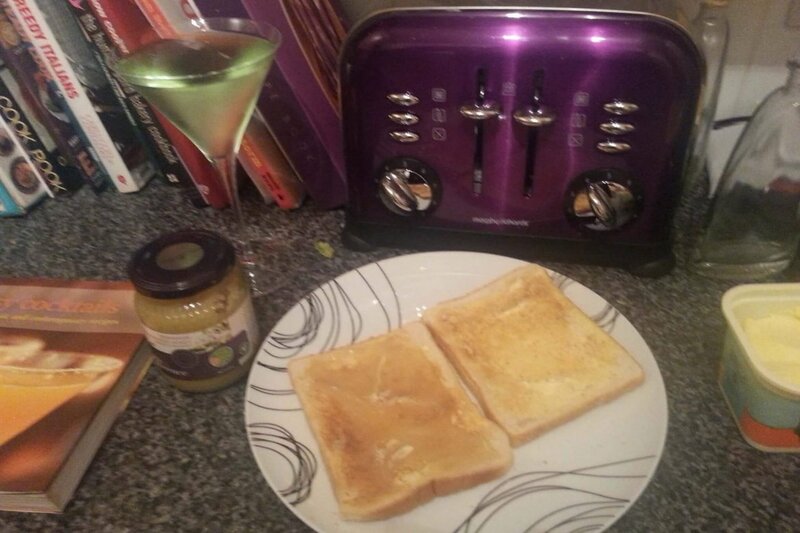 If you have a read on my ‘About Me‘ section, you will know that I love cocktails. Unfortunately since my gorgeous Isla Bear has arrived, my cocktail drinking has decreased substantially. Something to be rectified! Anyway, I thought I would let you know a couple of my favourite cocktails over a series of posts. Now, the cocktails I can, and do, drink are severely limited by the fact that I don’t like to, and can’t, drink vodka. It just does not agree with me. A night of playing catch up with friends, drinking double house vodkas when I was 16, and I’ve never been able to drink it since! So, the majority of my cocktails tend to be gin based. It’s a good job I love it then isn’t it!? The cocktail I drink most often I would say is what I call The Sophitini. It’s actually my adaption of the Applejack cocktail….but I change the recipe a lot! We have numerous cocktail books, and whenever I make a cocktail from one of them, I tend to write a note next to it as to whether it was nice, and if it wasn’t, what I did to it afterwards to make it taste nice! Now the first time I came across this recipe, we didn’t have any of these things, so I changed the recipe. The Sophitini, served with Smokey Bacon crisps, of course! So to make The Sophitini..
Add all the ingredients into a cocktail shaker filled with ice. Shake well, and strain into a Martini glass. Now usually, before I pour it into the glass I will give it a quick taste, and add any of the above until I like how it tastes. There is a bar in Wokingham where the bartenders taste the cocktails they are making you (by pipeting some out with a clean straw) to make sure it tastes good before they give it you….I could definitely work there! 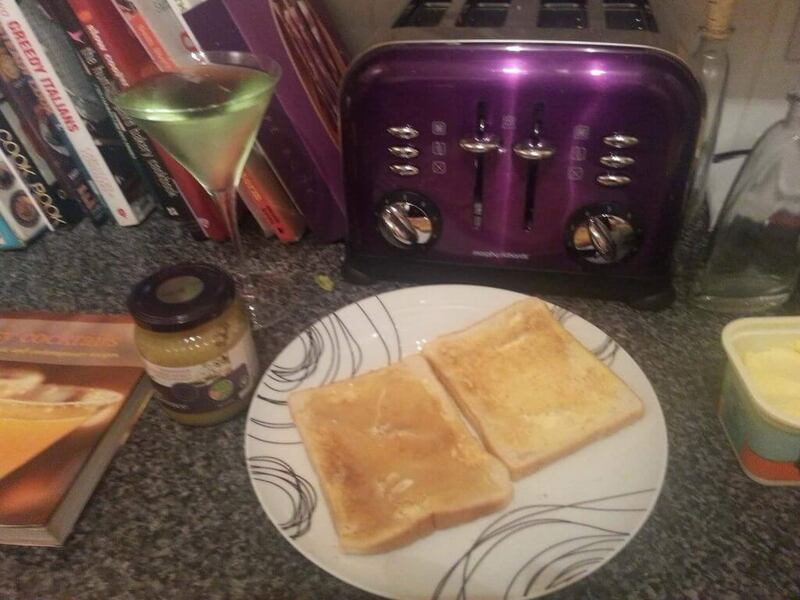 The Sophitini, served with Toast and Honey, obviously! Now, I’m a bit strange (yes, just a bit), and always like to eat strange things when I’m having a cocktail. As you can see from the photos, smokey bacon crisps, and toast with honey are perfectly acceptable accompaniments in my view! Other snacks of choice in the past have also include Cadbury’s Flake yoghurts, Mini Cheddars, and Nice ‘n’ Spicy Niknaks! 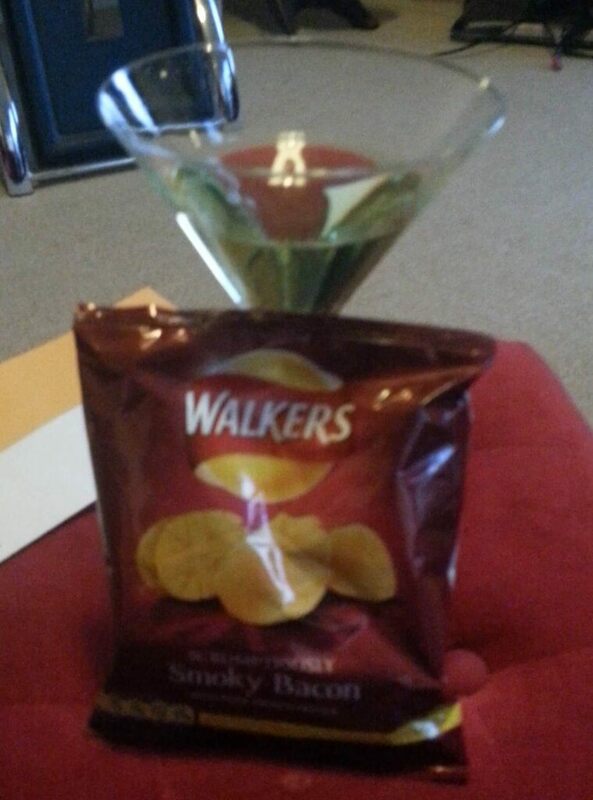 I would like to point out that these snacks do not always enhance the flavour of the cocktails! I probably advise either having ‘normal’ snacks, or none at all! So do you like cocktails? What is your favourite? Do you like to adapt cocktail recipes like me? Toblerone martini sounds amazing!! I may have to look up a recipe! !